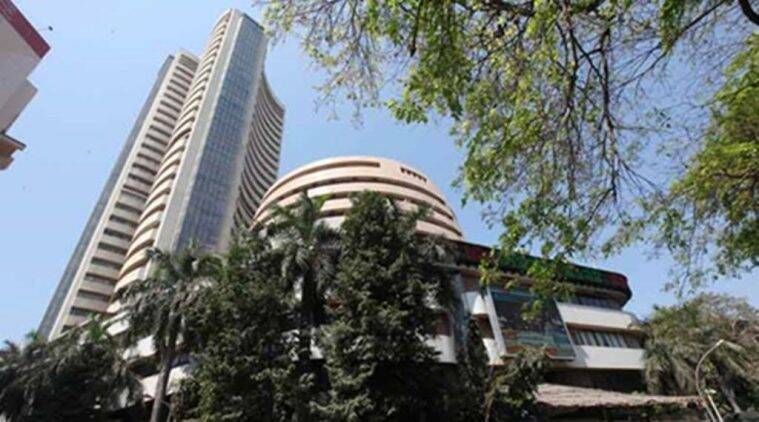 India’s stock markets rallied nearly 7 per cent in March, sending the benchmark Sensex to a new peak as foreign portfolio investors (FPIs) brought in Rs 34,053 crore, the largest monthly inflow in the stock market’s history. The previous high was Rs 30,906 crore in March 2017 — the Sensex has gained 2,678 points during the month despite uncertainties surrounding the general elections. The impending slowdown in US may lead to cut in rates. So foreign investors are betting on high-growth India. Their hope of political stability trumps fears of uncertainty, at least for now. How long will the flow last? FPI money is hot money, it can exit quick if circumstances change. Dalal Street has seen a positive momentum since the beginning of this month. “FPIs are pouring more and more money in the stocks and take positions in the futures and options market…(this is) the key trigger for the elevated bullish sentiment and comes despite crude oil prices trading on the higher zone in international markets,” said Debabrata Bhattacharjee, Head of Research, CapitalAim. The currency market also gained from FPI flows with the rupee trading at 69.30 against the dollar. After investing over Rs 17,000 crore in February, FPIs have invested over twice that amount in March so far (including the provisional figures released by exchanges on Thursday). Taking into account the Rs 13,000 crore invested in the debt market, the total FPI inflow for March so far works out to Rs 43,450 crore. “India is likely to continue its outperformance among emerging markets due to FPI inflow, expectation of revival in earnings growth and political stability. The slide in India’s 10-year bond yield further raised the possibility of a rate cut. Global economic growth concerns and US Fed’s dovish view on interest rates will give a positive impetus to emerging markets like India,” said Vinod Nair, Head of Research, Geojit Financial Services. Foreign and domestic investors also expect an interest rate cut in the monetary policy review by Reserve Bank of India next week. “Participants took note of the latest monsoon update in which the IMD shared the possibility of strong monsoon provided there’s no El Nino surprise. Besides, hopes of a rate cut in the upcoming RBI’s policy review meet further boosted sentiment. Almost all sectoral indices participated in the move and broader indices showed noticeable strength,” said Jayant Manglik, President, Religare Broking. Analysts attribute the Sensex rally also to weak global growth prospects across China, Europe and the US. Significantly, the US yield curve inverted last week for the first time since mid-2007, the strongest indication of a possible recession for the world’s largest economy. “…Historically, inversion of the yield curve has always preceded impending recession. Further, macro-economic readings such as PMI from Germany and France are at multi-year lows,” said Jagannadham Thunuguntla, Head of Research (Wealth), Centrum Broking. “The average duration of (the time between) the inversion of the yield curve and US economy slipping into recession is 14 months and average duration of recession is 12 months. By this logic, US might plunge into recession by the end of 2019 or early 2020…US markets are pricing in a rate cut in second half of 2019,” said Soumya Kanti Ghosh, Group Chief Economic Adviser, SBI. Back home, rural demand continues to look increasingly fragile. Additionally, latest global forecasts indicate that El Nino is gaining strength. Data published by NAFED suggests agencies could not procure even half of the quantity sanctioned at the MSP (minimum support price), thereby the impact on food prices will continue to remain low. Cash transfer will not impact inflation. “Even if we assume that the food prices increase by as much as 10 per cent, the CPI inflation will still be decisively below 4 per cent for most of FY20,” Ghosh said. However, analysts said there can be market reverses if the elections throw up a hung parliament and several players stake claim to form the government. “As of now there are indications that a stable government will be formed. But elections can always throw up surprises…If there’s no stability after elections, there’s no guarantee that FPIs will keep investing. Retail investors should be careful while buying stocks at the current high levels. FPI money is hot money. FPIs can exit at a faster pace than they entered. It has happened in the past,” said veteran BSE broker Pawan Dharinidharka.